I LOVE the Dragon Ball series. When I heard of this game and found out Amazon was sold out, I immediately just bought it on the Nintendo eShop! Though as I’ve grown older, more of the flaws have stood out. This was the case with Dragon Ball GT and Super, along with some of the films. The games were great as well, such as Legacy of Goku 2, Budokai 3 (my absolute favorite) and a couple others. The Xenoverse games felt like a return to form for the series, but it only brought about more frustration than actual fun thanks to grinding needlessly and other problems. 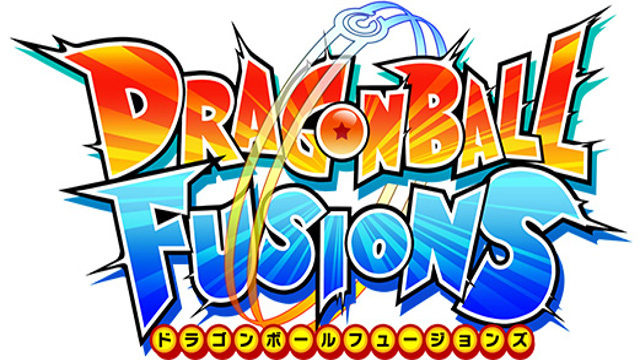 Dragon Ball Fusions, in the meantime, seemed like pure, ridiculous fun, embodying everything I loved about the Dragon Ball series. The lack of marketing for the game, plus the censorship, were worrisome. I was convinced by Kirran of TFS Gaming to pick it up after he streamed the game, and later learned from his friends on one video that the game would release a month early. But can this game live up to my expectations? Let’s find out! Will my wish for a good game be granted!? The story follows Pinich, a young Saiyan boy, and their rival, a silent character that you can create and control; more on that later. They are hunting Dragon Balls, and once gathered, decide to wish for the universe’s greatest martial arts tournament. Their wish is granted, leaving nearly every part of the Dragon Ball universe fused together into floating islands, separated only by barriers the heroes must break to advance. Along the way Goten and Trunks of Dragon Ball Z/Super, the kid Goku of Dragon Ball, and Pan from Dragon Ball GT join you in the main story, and are some of the only characters to comment on the situation. You can recruit many more through side quests or battle (again, details to follow). Some characters from Dragon Ball Super also appear, all the way up to the Universal Tournament Arc with characters such as Hit, Champa and more. Even Towa and Mira from Xenoverse also show up. The story is fairly simple, taking advantage of multiple universes to create several new characters for side quests and challenges. It’s never overly serious, especially when fusion is one of the biggest driving forces of the plot. There is still legitimate drama here and there between the main character and Pinich, but it never forgets to be humorous or put characters in interesting situations. For example, the kid Goku from the original Dragon Ball thanks Omega Shenron since, despite him being evil, it was only thanks to the Dragon Balls that a lot of events in the series could happen, such as the revival of Krillin or even Goku’s journey. The game also doesn’t push Goku as the big main star and problem solver like Xenoverse or Dragon Ball in general do. The focus is on your journey, along with Pinich’s development, creating a very good tale for the two fighters. Though anyone who gets annoyed at power levels might be a bit peeved at some moments, such as the aforementioned kids taking down really big heavy-hitters at the end of some series, yet running away from Broly. There are also some localization issues, as some dialogue cannot fill the text window, and was cut off as the sentence ran over. This doesn’t happen too often, but it is annoying. Nappa and Raditz even manage to be an entertaining tutorial. 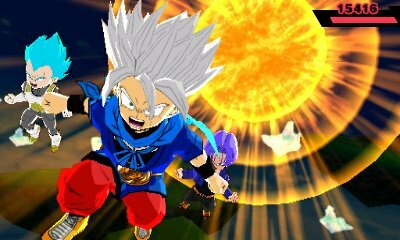 The presentation of Dragon Ball Fusions is surprisingly good for the 3DS. While not the sharpest visuals, everything is easy to identify, though some models do feel shrunken down. As stated before, you can create your own character among five races: Human, Saiyan, Namekian, Alien, and Offworlder. 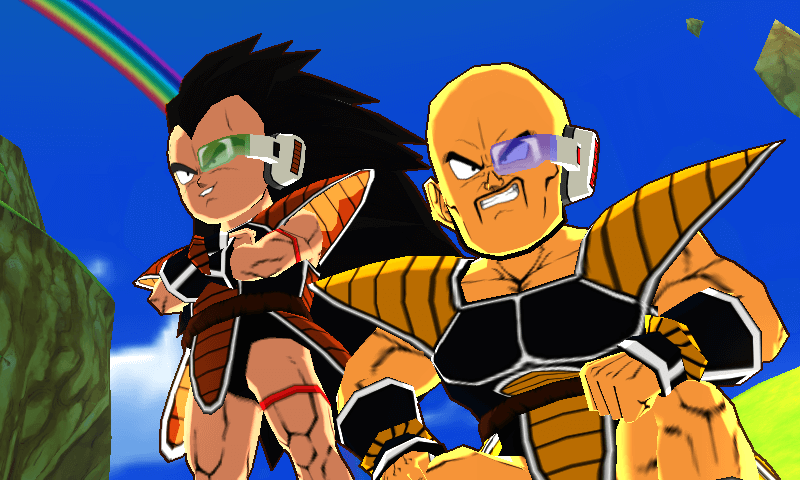 There are male and female sets of each, (barring Namekians), and there is a small bit of customization compared to Xenoverse. There also seems to be a mistake, as the Alien race women have the ears of Majin/Offworlders but the female Offworlders look similar to Supreme Kai. It was a confusing change I didn’t understand. Unlike Xenoverse however, you can change the color scheme of any set of clothing you get, especially if belonging to another character, to create something more pleasing for your eyes. There are also seven areas, each fairly big to fly around, fight enemies, and occasionally find other side quests. What surprised me is that the game runs so smoothly, rarely slowing down (if ever). You can rest assured your experience will be a smooth one, complimented with bright colors. The animation for attacks are quick as well, helping to keep battles from dragging on. Sadly, if you were hoping for some recognizable music from the series, you may be disappointed. Still, the battle themes keep a good beat with the guitar, matching the action really well. The same goes for more intense music during more serious moments, like when an enemy beyond the team’s power comes into the fray. Could be worse. We could have gotten Dragon Ball GT’s rap theme. There is the occasional flying mini-game as well, where you have to fly through rings in order to solve certain quests. Unlike Superman 64, flying feels solid and good, barring one little obstacle later in the game. Traveling never got tedious, especially when the game includes fast travel. Though depending on your level, you may also attract other fighters towards you when flying faster. Fights never dragged on, so this never felt too annoying unless my battery was going to die, but I feel that’s a commonly held sentiment among 3DS fans.. Your team is initially small, but will expand soon. Gameplay revolves around up to five fighters battling at once, usually in a ring of a circle or a rectangle. Each character is represented with a small face and bubble in a turn meter below that moves from left to right. Once a character icon makes it all the way to the right, they will get their turn, and can choose from some options. The first is to try and punch their target. When doing this normally, with a melee special move or a Zenkai Attack, you must choose where to attack from, while the enemy tries to predict and block you, making sure you do much less damage. Should you manage to hit the middle section behind their blocking range however, you’ll do extra damage. Knocking your foe into the walls tends to send them out of the area for a second, taking extra damage by colliding with a building or a mountain. Doing this will reset their turn at the far end of the gauge, making them wait all over again to try and attack. Although there are some maps where they will just be knocked around like pinballs. You can also knock enemies into each other or into allies for extra damage, and then they’ll knock the foes in other directions. It feels satisfying when knocking so many foes into others and your allies! 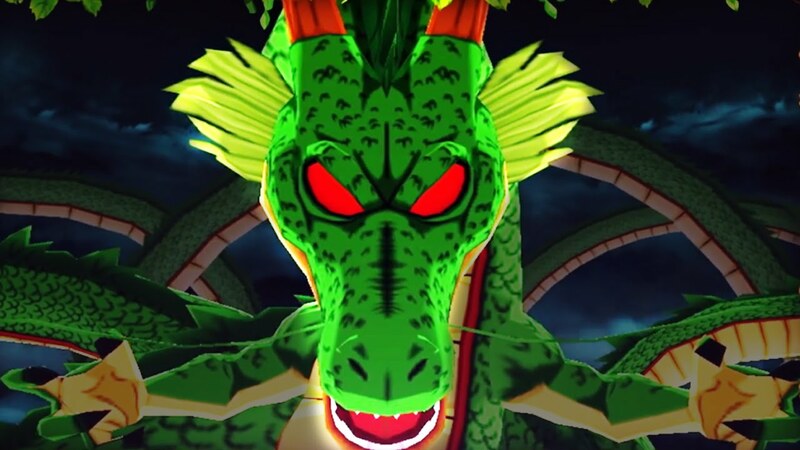 Then there are ki attacks, and the way these function are entirely dependent on what type of character you have. The blue speed types can hit enemies in a line, though their range is limited. Yellow technical fighters fire energy in a circle, hitting groups of foes at once. Red power types can only hit one enemy, though they tend to do the most damage. Ki blasts are unblockable, but it’s much harder to knock foes out of the ring, or into each other. There is also a triangle of what each fighter is weak to, so keeping a balanced team of speed, technical, and power is necessary at all times. When doing all of these attacks, there is also a chance for your allies to support you by launching a melee attack just before your strike, though it sometimes felt random and I was never really sure what the trigger for it was. However, you must also account for special attacks. A lot of these are taken right from the show despite not having the exact same name as a move seen in Xenoverse or the Budokai series. For example, Blast Cannon looks a lot like Final Flash. Each one has a few factors to consider, such as range, attack power, buffs and debuffs and even stat boosts just from having the move equipped. They are also ranked from C, B, A, S, and finally G, as are individual characters, to represent how strong they are. You can only have three equipped on each character, and they can only learn some moves after passing a certain level. In order to get better moves, you can knock foes out of the ring while KOing them, though this isn’t always reliable. You can also buy techniques from a machine by using energy gained from winning fights or by using play coins. I found the machine more reliable but the drops, while random, were usually better. This was sadly one of the worst parts of Dragon Ball Fusions, though not crippling. Fortunately, if you get techniques you are unable to teach someone, you can save up to 30 for later. Also, with regards to the censorship, it was distracting how swords were replaced with sticks. At least stuff like the spirit sword or ki blades are not censored. Some of the special attacks are a treat to watch, especially for enemy reactions. Enemies can also do the exact same thing to you in battle like resetting your turns and using special attacks. When using a special attack that is a ki blast, there will be a moment where you or the enemy can choose to use a special move to create a beam struggle. By rapidly tapping A, you’ll determine who will win. At first this is easy, but gradually grows harder by late game. Though if you counter with a beam of your own, one that usually has a large radius, it will only hit one enemy, so sometimes just letting it hit you might be the better strategy. Other things that can be done on a turn are charging up ki for future attacks or checking an enemy’s stats to see what moves they have. Depending on who you bring to battle, you can also perform a fusion to create a much more powerful character. 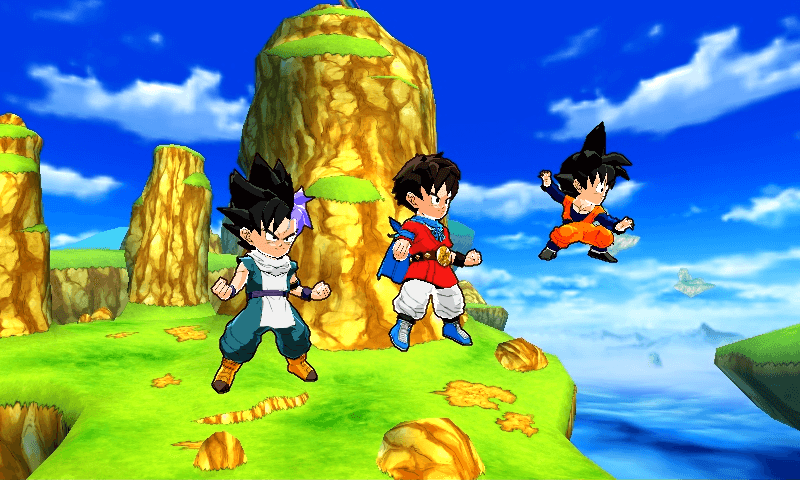 For example, Goten and Trunks can form Gotenks, greatly increasing their stats and even giving them new moves. Transformations however are sadly treated as separate characters, and most cannot even be used in fusing with other characters aside from the main character.